Wellington, Fla – Jun 28, 2018 – CycleBar, the premium indoor cycling studio, is excited to announce the opening of its newest location in Wellington. Scheduled to open its doors in July of 2018, Cyclebar welcomes riders of all ages and fitness levels to experience this fun, unparalleled multisensory fitness journey. Created in 2004, CycleBar has grown into the largest network of Premium Indoor Cycling Studios in the world — being the first and only Premium Experiential Fitness Concept offered in franchising. Cyclebar is unique from other cycling studios because of the full sensory experience it offers during each class through CycleBeats, CycleTheatre, CycleStats, and CycleStar instructors. An integral part of the CycleBar success is the CycleStar instructors who motivate riders as equal parts educator, DJ, drill sergeant, motivator, and friend. 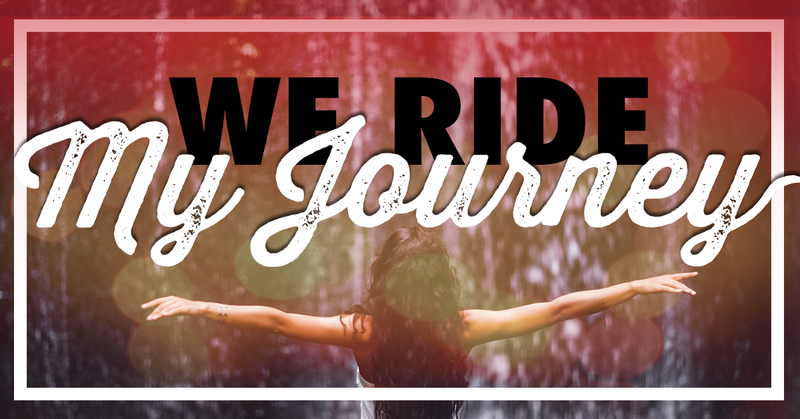 Each instructor is dedicated to helping riders achieve their fitness goals by bringing incomparable energy, training, enthusiasm and charisma to each ride. The CycleStar instructors are also able to create highly motivating, energetic playlists for riders through , CycleBeats, a proprietary, state-of-the-art in-house and online music database. Additionally, riders will be emailed a copy of the playlist when class is over! 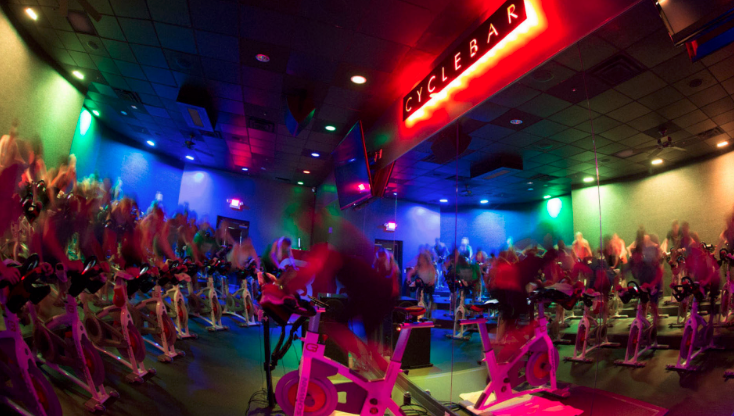 Riders immerse themselves in each ride with CycleBar’s premium Cycletheatre. The theater uses state-of-the-art audio, video, and lighting technology to create a multisensory experience., two massive flat-screen TV’s, and personal data monitors! Cyclebar goes even further in offering the best in boutique fitness with Cyclestats, a program that allows riders to achieve their personal best with every single ride through CycleStats. CycleStats measure the six key metrics of a rdiers’ daily and historical performance, then emails the results after every ride. These stats are also available on CycleBar.com, which shows calories, power, RPM, mileage, resistance, and time. Riders track personal progress to achieve and exceed goals! Another unique aspect of CycleBar is the drive to give back to the community. This desire led to the creation of CycleGiving™, a philanthropic movement that partners with local organizations and charities to create exciting and energetic premium indoor cycling charity rides to support the organization’s cause. Leading up to the grand opening of CycleBar Wellington is offering a discounted, monthly membership special, the Founders Membership, for only $99. To learn more about CycleBar Wellington click here. To sign up for a CycleBar Wellington Membership click here.